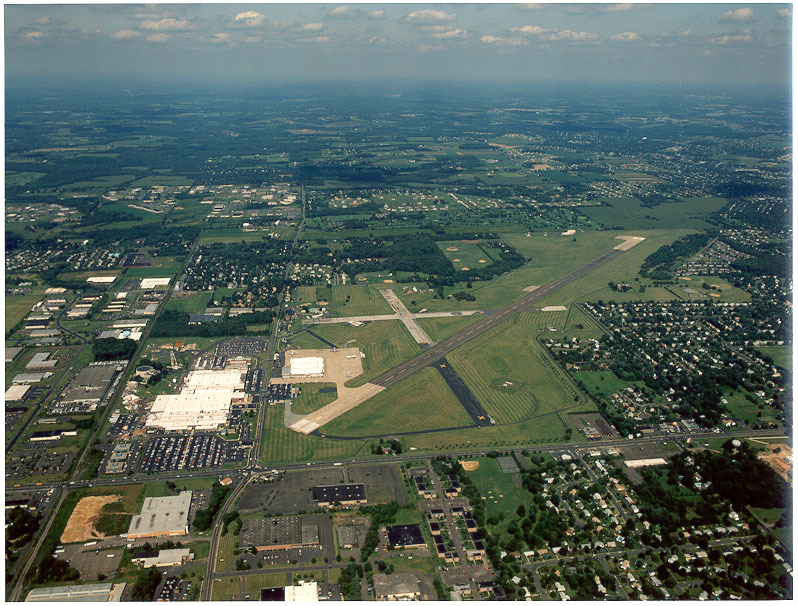 An aerial view of NAWC Warminster looking North. Jacksonville Road (Rt 332) is one third in from the left running north/south and dividing the base. Street Road (Rt. 132) runs west/east (left/right) in the lower part of the picture. The main research facility was to the west (left) of Jacksonville road. The Hangars and runway are to the right. The north/south trail to the far left is the south end of the New Hope and Ivyland Railroad formerly the Reading Railroad. The total land area is over 600 acres. Photograph by the NAWC Photo Lab.